Urban renewal or social cleansing? It’s an increasingly fraught question as traditional occupants are pushed out by rising prices and elite workers, but now one tech giant is trying hard to reverse the trends. Microsoft will inject US$500 million into affordable housing initiatives suburbs surrounding its Seattle headquarters in the US, including $25 million to address homelessness. The tech giant hopes that the investment will make housing more affordable for low and middle income earners who have been priced out of the housing market by close to 50,000 highly-paid Microsoft employees trying to live close to work. Focused on the east side of King County and the Puget Sound region, the tech company will invest $225 million to preserve and develop new middle income housing and another $250 million on low income housing. A further $25 million will go towards philanthropic grants to address homelessness, including a program that aims to keep people out of homelessness by providing legal representation, helping with back rent and offering caseworker help. Several of the tech giants have been criticised for compromising the liveability of the cities they are headquartered in. Housing shortages and traffic problems are among the common bugbears flagged by locals. As the home of both Microsoft and Amazon, Seattle and its surrounding cities and towns are particularly affected by the influx of high-income tech workers. Puget Sounds, for instance, has become the sixth most expensive region in the country. The region has seen a 21 per cent increase in jobs since 2011 but only a 13 percent increase in housing units in the same period. 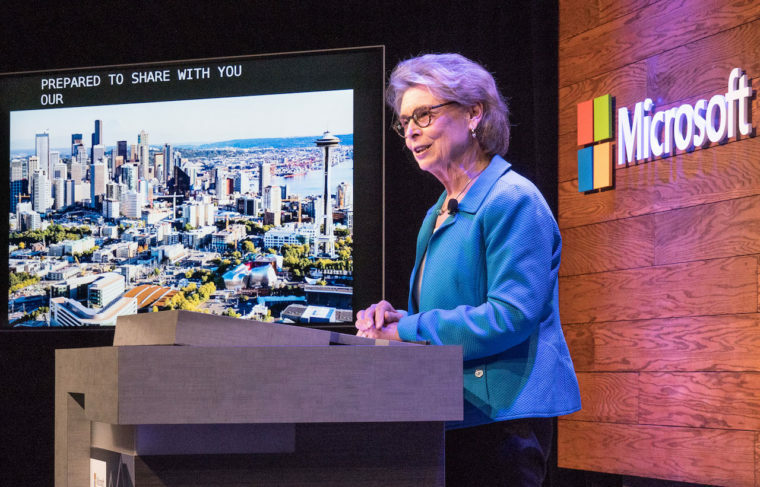 “If we’re going to make progress, we’ll all need to work together as a community,” wrote Microsoft president Brad Smith and chief financial officer Amy Hood in a blog post. A number of other tech companies, including Google, Facebook and LinkedIn, are looking to address similar housing affordability issues in their own home towns. Google’s massive 1 million-square metre campus under construction in the North Bayside area of Mountain View, California, will include 20 per cent of homes priced at below market rate. LinkedIn has invested US$10 million in a non-profit that helps finance affordable housing projects in the Bay Area. Although these tech companies are looking to address housing affordability issues, according to the Hustle blog Microsoft’s contribution will target the problem at the root and stop people becoming homeless in the first place. But the tech company’s investment is unlikely to be enough to fix the problem. A municipal report released late last year claims that 240,000 more affordable homes are needed in the region by 2040 to keep low income households from spending more than 30 per cent of their income on housing. Fortunately, nine majors of large suburban cities outside Seattle have also pledged to address the issue by changing zoning rules to increase the pipeline of housing in selected areas, providing desirable public land near transit locations, addressing permitting processes and fees and creating new tax incentives for construction. Good article. This trend will mature and needs to find its way to Australia. Large public service agencies like education, health, police and emergency need workers to live close to where they work. If large public and private organisations want to attract and retain the best workforce – helping with housing is a no brainer. These models are way better than resorting to social housing alternatives. In the communities that are now being developed by Microsoft and others, the mix will see working and connectivity normalised. Some may call this social engineering, thats rubbish. It will be great to see how these essentially BTR variants offer insights for Australia. Institutions like Sydney university have done this successfully with Campus Living. The model retains institutional land in the university’s hands with the properties reverting to the university at the end of a subsidised concession period – normally 20 years. All good stuff. I hope there are people involved who are going to include a universal design approach to this housing. Being affordable is one thing, but being able to stay there as you age or have a disability is another. And thought of from the start means it costs no more – just have to reconsider how the space is used. Only people who use large wheelchairs (very small proportion) need extra space and special designs. The rest of us just need thoughtful design. BTW Microsoft is one of the companies that claims to be really on track with accessible ICT with their products. Need to apply this to all projects.